Why do you need a professional virtual tour? Without the careful attention of a trained photographer, the property on sale will not look its best. In fact, it will look exactly like the thousands of other Ottawa homes out there, all vying for the same buyer's attention. If the images in your internet listing are stamp-sized blurry "polaroids" shot with a consumer camera - this really means that your listing is not working for you as well as it could be. We use professional Nikon cameras and heavy duty tripod equipment to create the impeccable images and virtual tours you can see on the site. And the difference is not just for experts to gawk over - it's that "magical polish" that is visible with the naked eye and immediately sets your listing apart from the others. 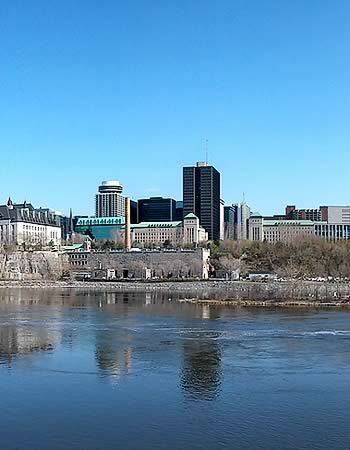 Ottawa, view from Victoria Island. Part of a demo virtual tour shot by Photohug.